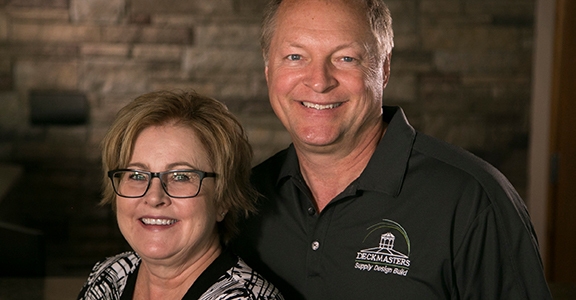 Originally from Lidgerwood, both Todd and Lori decided to make the migration to Fargo in 1980. Todd worked for his brother in Funfar Construction building homes, and Lori worked as a managing stylist. In 1989, Todd decided to start his own deck-building company out of his home in Fargo; the first in North Dakota. Most of the decks were built from redwood or cedar with limited add-ons, but now, low maintenance with many more add-on options is the key. Expanding the business was the next step. Wanting to get into more of a backyard retail store, a building was built in 2001, and the next year an addition was built. Since then, Todd has designed and built thousands of projects. Todd enjoys anything outdoors: waterskiing, barefooting, hunting and wood working. Todd and Lori enjoy weekends at the lake, sitting by the bonfire or reading a good book with a cup of coffee. 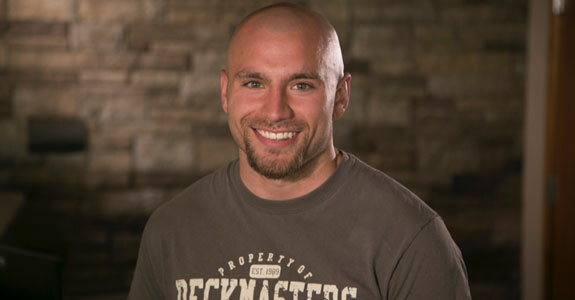 Josh started at Deckmasters in June of 2013. He spent his college years at NDSU pursuing a degree in Construction Management. Throughout college he was actively involved in many on campus clubs and Residence Life programs. His eye for design encouraged him to take an additional year of architectural design. 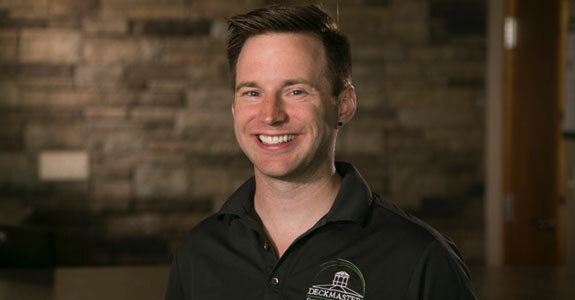 Josh worked through college in construction retail as well as for a small remodel company in his home town of Aberdeen. When not working, he enjoys spending time with his friends around the kitchen table playing games and enjoying home cooked meals and snacks. One of his favorite hobbies is cooking and baking, just ask for a gourmet meal or some good comfort food. 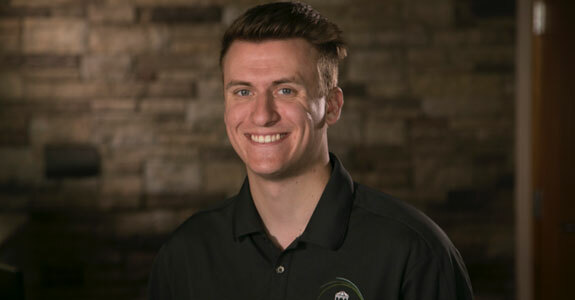 Austin started at Deckmasters in February 2018. He is the Deckmasters Pergola specialist. He grew up right in West Fargo, and during high school worked in local construction with his dad. In college, he worked in the land surveying industry during the summers along with retail during the school year. His past times included playing video games with his brother and going camping through the Boy Scouts where he earned their highest honors of Eagle Scout. Austin ran Cross Country and Track in high school and college, qualifying for nationals. He still likes to go camping and play video games with friends and he just ran his first marathon last winter. 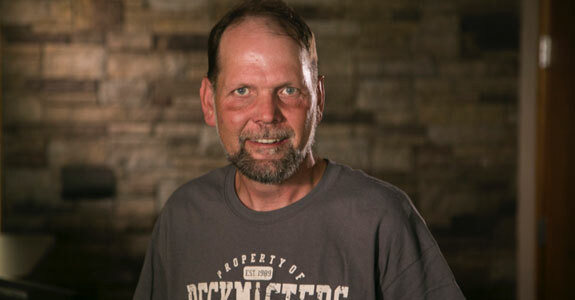 Kirk started working at Deckmasters in 2014. He attended and graduated form West Fargo High School in 1994. Since graduation he’s put in 20+ years in warehouses and on forklifts. Kirk got married in the Spring of 2016 on the North Shore of Duluth. In 2017 he and his wife packed up and moved out of the Fargo area, purchasing a home in Sabin Minnesota. Some of his hobbies includes camping with his wife Katie and their dog Kye, yard work, house DIY projects and listening to music off of vinyl records, yes, they still make those. Jordan has been working at Deckmasters since 2007 mowing lawns and cleaning up around the warehouse. Since then he’s taken on deliveries, special order pick ups and grounds keeping. In his free time Jordan is a big sports fanatic. From basketball to football you can ask him just about anything and he can give you the answer. When he’s not following sports, he enjoys concert going and playing in league basketball and softball. 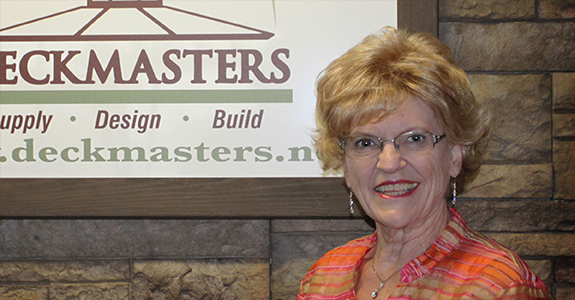 Marilyn started working at Deckmasters in 1996 and has been full speed ahead ever since with no signs of stopping! In addition to her time at Deckmasters she has many years of accounting experience in the banking and interior design industries. She has been married for 58 years.